Oh those sounds... Ethereal... Relaxing... just perfection ! Amazing track , one of my favourites ever. Great job Lieb. Got this from one of our bunking off school trips to HMV. Got home, blew our 14 year old minds..
Oliver Lieb classic! 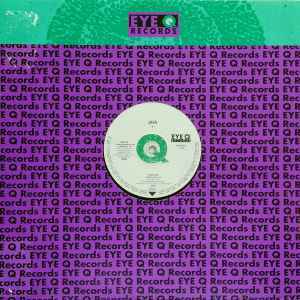 this eye-q must combines oldskool trance with nice ambient riffs. the most notable instrument here is the horn sound it just makes this ep stand out with the warm pads! the female vocals are not a flop either they complement the track quite well. I love the C-Mix as it's more trance than ambient but the original is a massive trip that heals your mind! "Cosmos Chill" is a slight re-edit of the original mix and probably the weakest track in this amazing ep even if it's not the most original release it's a classic for trance lovers & ambient lovers!